Dylan is a Wealth Advisor and is responsible for partnering with Beacon Pointe’s investment and financial planning teams to provide customized solutions that help clients meet their financial goals. 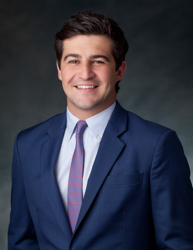 Prior to joining Beacon Pointe, Dylan was a Senior Associate at The Doman Group in New York City, where he specialized in investment analysis and comprehensive financial planning for high net worth individuals and families. He was born and raised in Huntington Beach, California and holds a business degree from the University of Southern California. Dylan also holds a Masters in Financial Analysis and Investment Management from Saint Mary’s College and is a Certified Financial Planner (CFP®). Outside of work, Dylan enjoys surfing, traveling and spending time with family and friends.